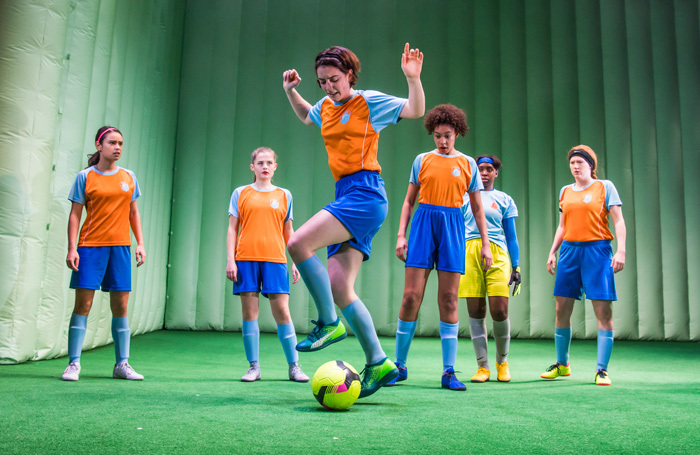 Sarah DeLappe’s debut play, a 2017 Pulitzer prize-finalist, is a skilfully drawn coming-of-age tale set in a US girls’ junior soccer team. 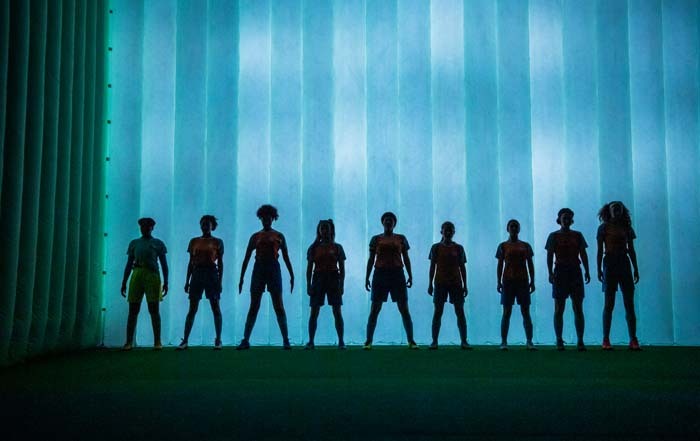 The characters, known by their team numbers instead of their names, are introduced through a series of warm-ups – we never see them play an actual game. DeLappe takes her time shading in the girls’ characters, an approach that feels fitting. It takes time to find out who you are. DeLappe has a knack for making you feel as though you’re just listening to a group of teens hanging out and talking about whatever comes to mind, but this couldn’t be achieved without a keen dramatist’s ear. As the girls stretch and prep for their matches, their casual chat about the merits of tampons versus pads overlaps with conversations about Cambodian genocide. The dialogue is intricately layered and captures every uptick of speech – on the page it looks like music. Though all the girls initially feel like types – the leader, the oddball, the joker – primarily defined by their roles within the team, over the course of 90 minutes, little rifts and rivalries develop as bonds are forged elsewhere. 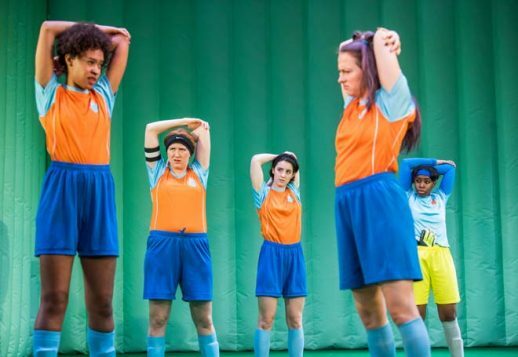 Annabel Baldwin’s home-schooled #46 is on the outside to begin with, because she makes inappropriate jokes and has led an unconventional life – she lives in a yurt, or what the other girls call “a yoghurt”, with her mother – but she turns out to be a skilled player so her position within the team gradually shifts. The play combines big moments – tragedy, a potentially career-derailing injury – with smaller, subtler things. It’s these that work best – all the unspoken stuff involving troubled relationships with food and family, sexual awakenings. The production refuses to spell these things out and is better for it. There are some particularly potent moments. When Hannah Jarrett-Scott’s #25 gets a buzz-cut and the girls crowd round to appreciate how soft it feels – “like a baby duck” – it’s warm and embracive. But the final weaving of death in to the mix is a blunt tool in a play that’s otherwise relatively nimble. It feels predictable and forced. 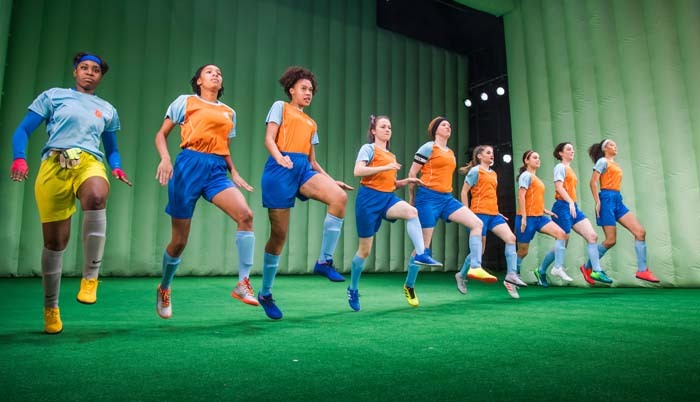 McDougall’s production places the idea of the girls as a team at its heart. 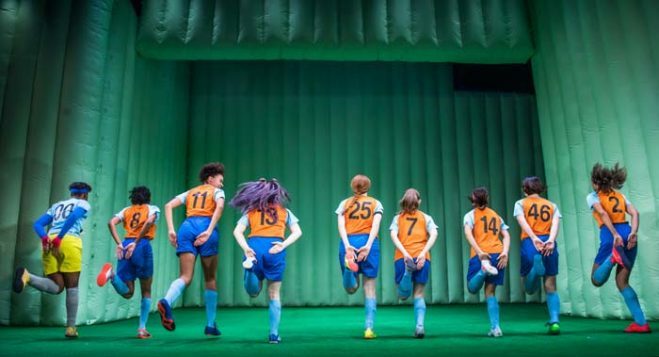 Her scenes are tightly, if not too rigidly, choreographed, and the young cast’s grasp of this dynamic is superb, making for a real ensemble piece. 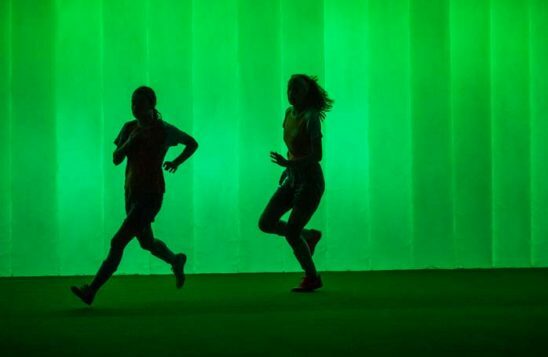 Rosie Elnile’s set, with its turf floor and bright green inflatable walls, atmospherically floodlit by Joshua Pharo, is striking. It resembles a kind of cocoon from which these girls will one day emerge. 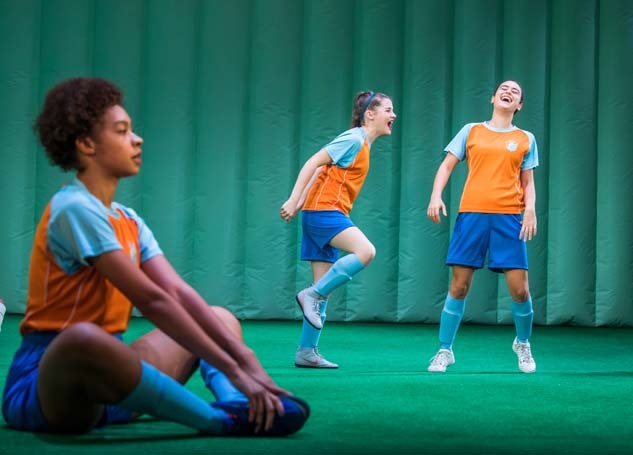 Whereas Clare Barron’s Dance Nation , another US play about young girls involved in competitive sport, recently staged at the Almeida, was full of blood, mess and magic, this manages to make similar points about finding your way in the world in a more subtle way. The final team chant feels like a battle cry.